Reprint. This ed. originally published: 1998. At twenty-seven, Anne Elliot is no longer young and has few romantic prospects. Eight years earlier, she had been persuaded by her friend Lady Russell to break off her engagement to Frederick Wentworth, a handsome naval captain with neither fortune nor rank. 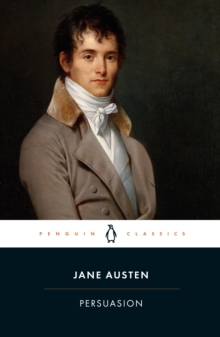 What happens when they encounter each other again is movingly told in Jane Austen's last completed novel. Set in the fashionable societies of Lyme Regis and Bath, Persuasion is a brilliant satire of vanity and pretension, but, above all, it is a love story tinged with the heartache of missed opportunities.